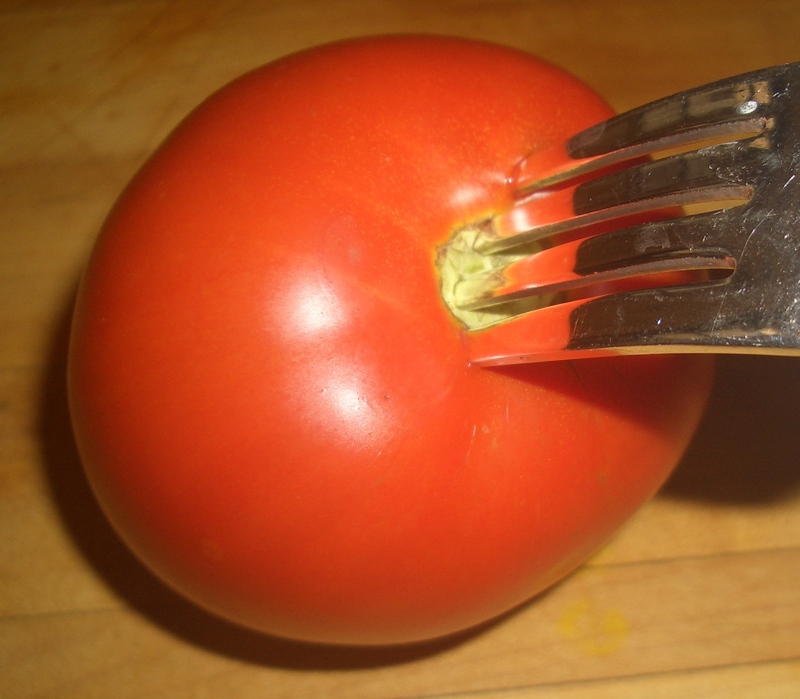 Good Morning, it’s Friday time for This and That. 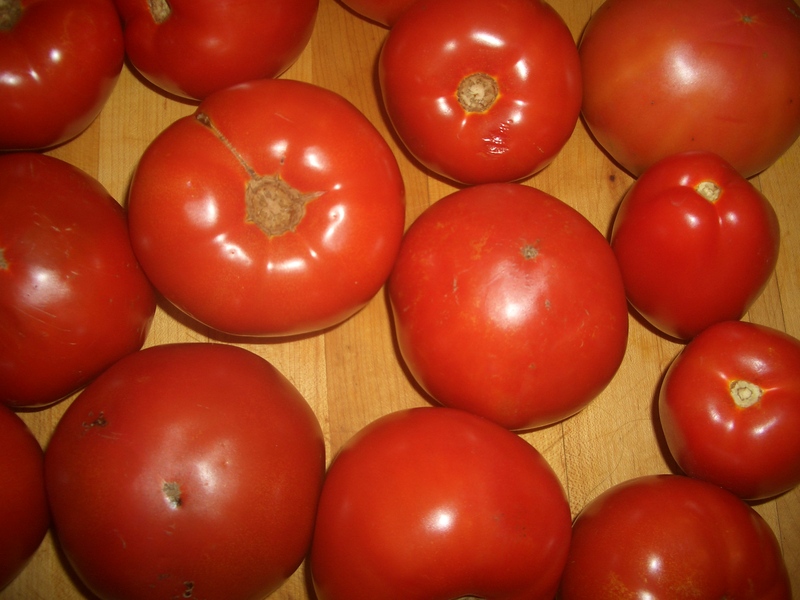 Since I’ve been making recipes using fresh tomatoes for the last few posts (and probably will for the next few posts as well), it only seems right to show you how to prepare them for cooking. 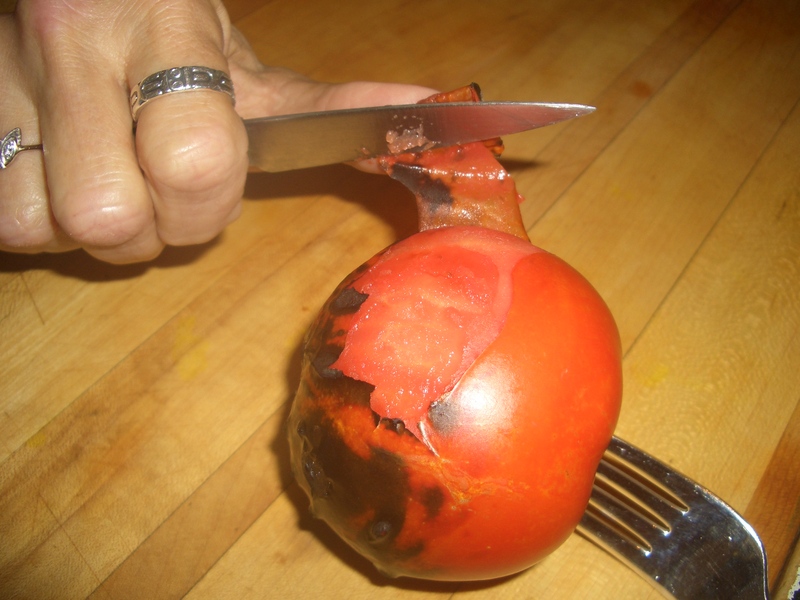 Now to be honest…in all my recipes I don’t bother to peel or seed tomatoes because the skin and seeds don’t bother me in the final products. 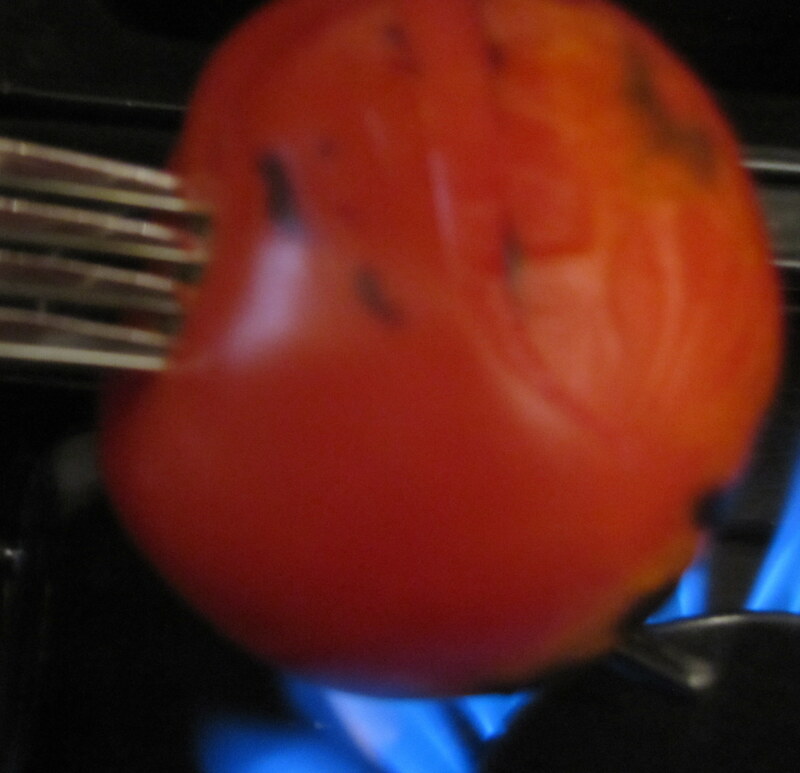 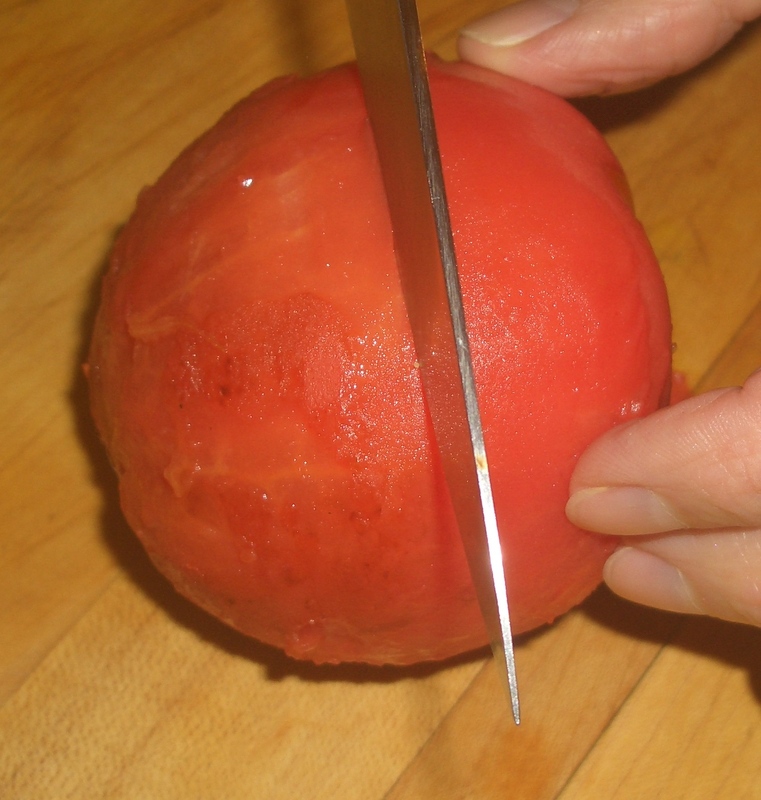 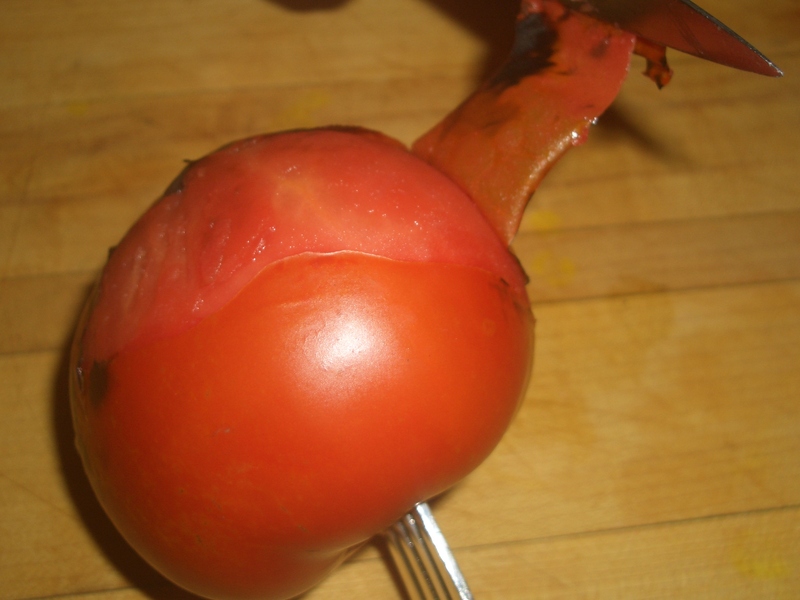 But, if you want to be really sophisticated, skinning a tomato really does improve the dish. 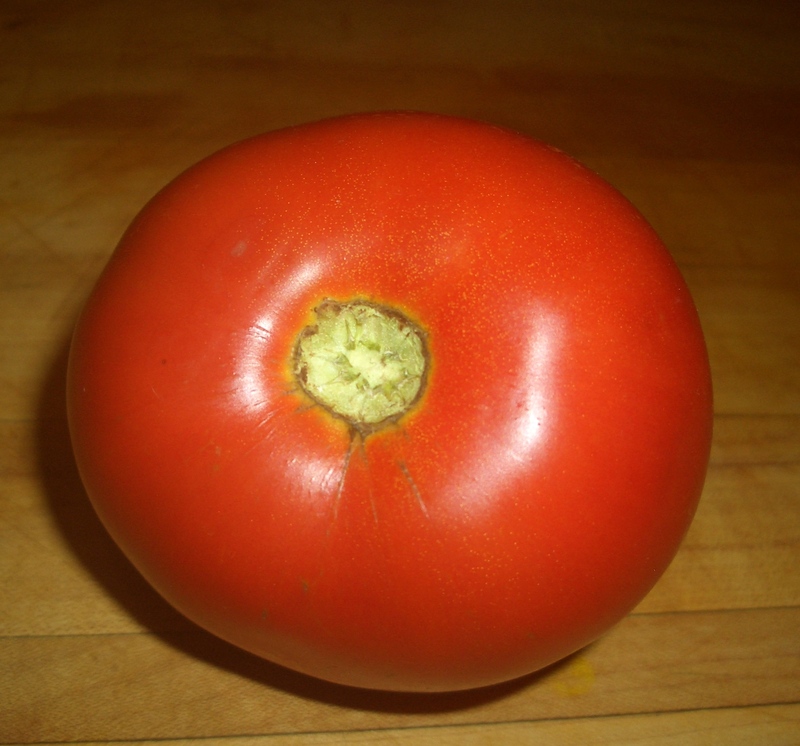 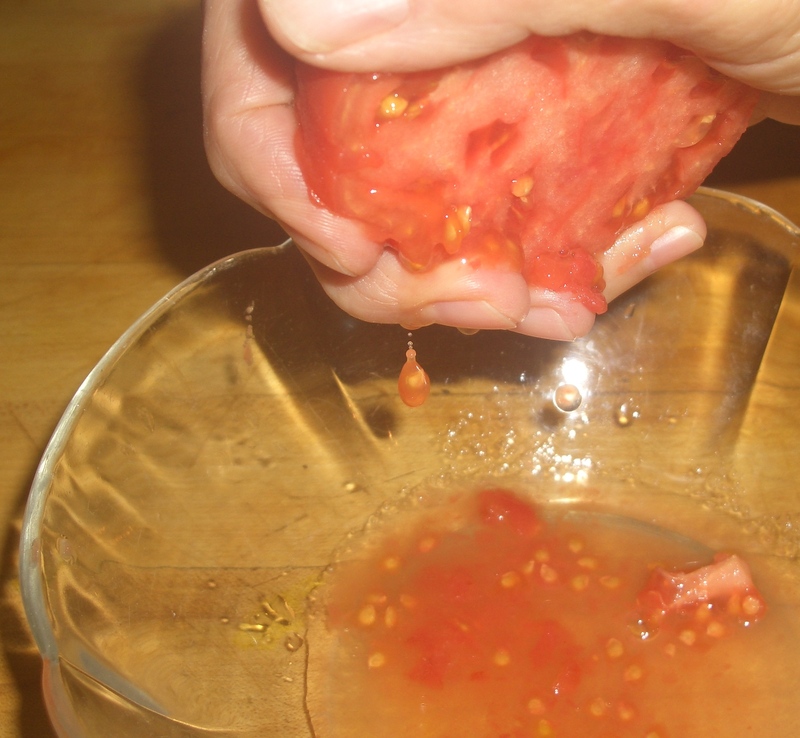 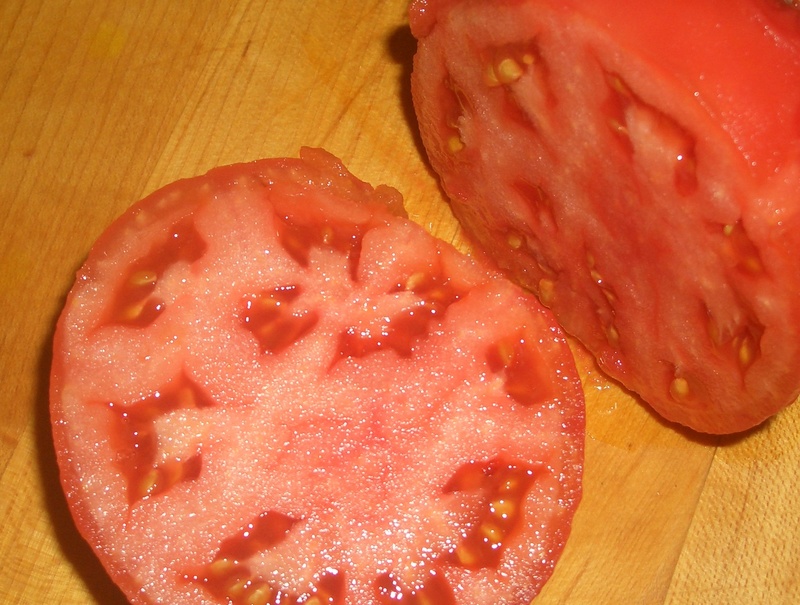 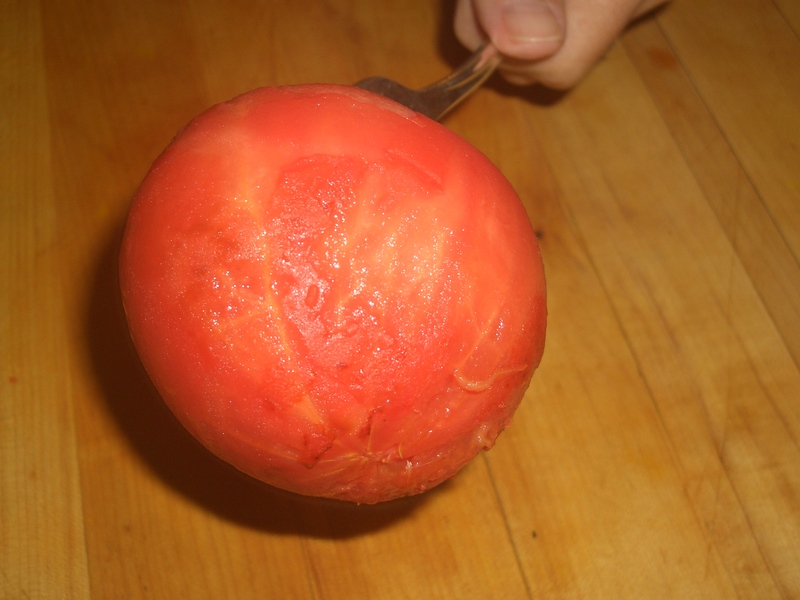 Seeding the tomato can change slightly the consistency, so unless the recipe writer suggests that tomatoes be seeded, assume that they should not. 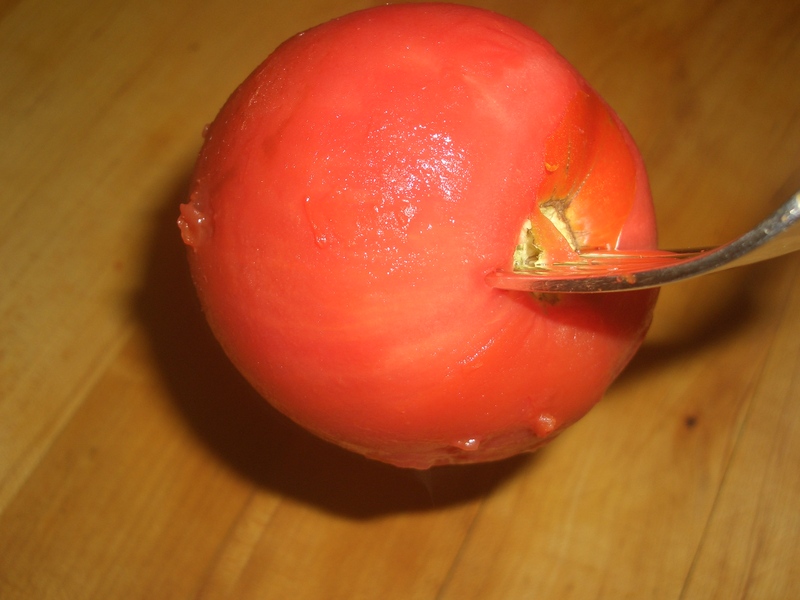 The tomato is now ready for chopping, dicing or whatever the recipe calls for.